Use a level boost to raise a new character's power to near-max levels in Destiny 2. 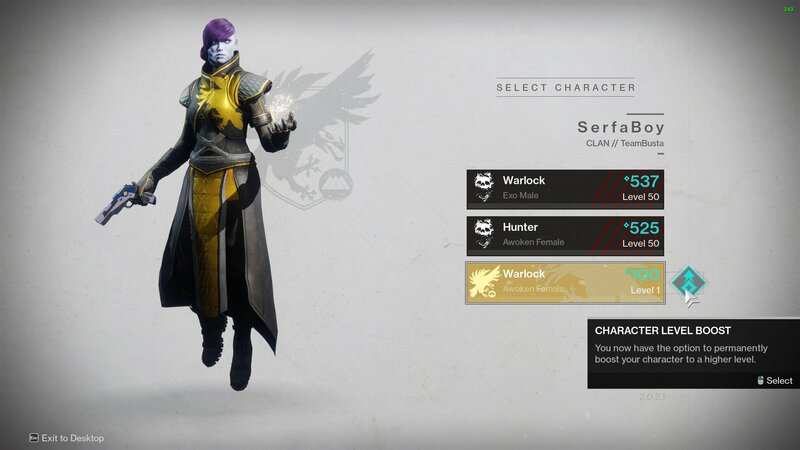 With the purchase of Destiny 2: Forsaken, each player receives a Power Boost that they can use on a character to bring it up to speed quickly. This is useful for those players who want to create a second or even third character to help improve the efficiency of leveling up. However, it’s not entirely clear in the character creation process when a Power Boost can be used. After creating the character, select the Power Boost icon beside the new character on the select screen. 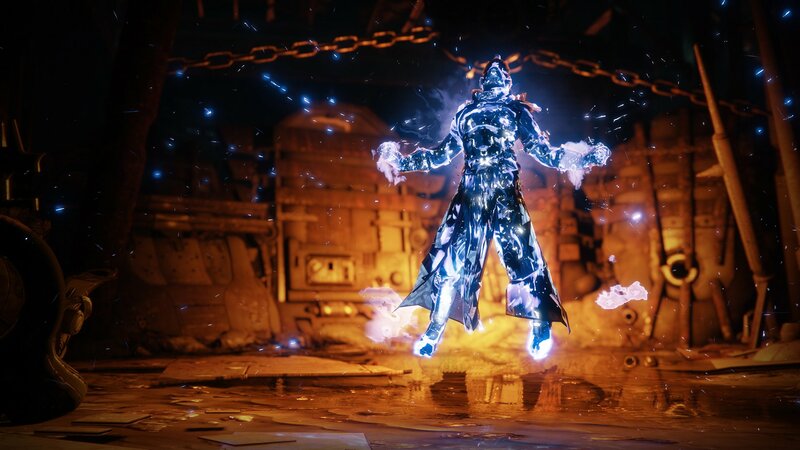 Included in the purchase of Destiny 2: Forsaken is a Power Boost that can be used on a newly created character to raise it from Level 1 and Power 100 up to the minimum requirements for playing the Forsaken campaign. Though it won’t max out the Level and Power, it will raise it to Level 30 and Power 330. The Power Boost is an excellent way to skip over a lot of needless grinding, making it far easier to set up a two-character boosting system. By creating a second character of the same class as another character, players can swap the high-level gear over and further shortcut the leveling process. However, the Power Boost is just as good being used to bump up a new class, as experiencing all three classes in Destiny 2 is a must. Be sure to check out the Shacknews Destiny 2 Complete Strategy Guide for more walkthroughs and explanations of Destiny 2’s various mechanics.